If board games be the food of love, play on! 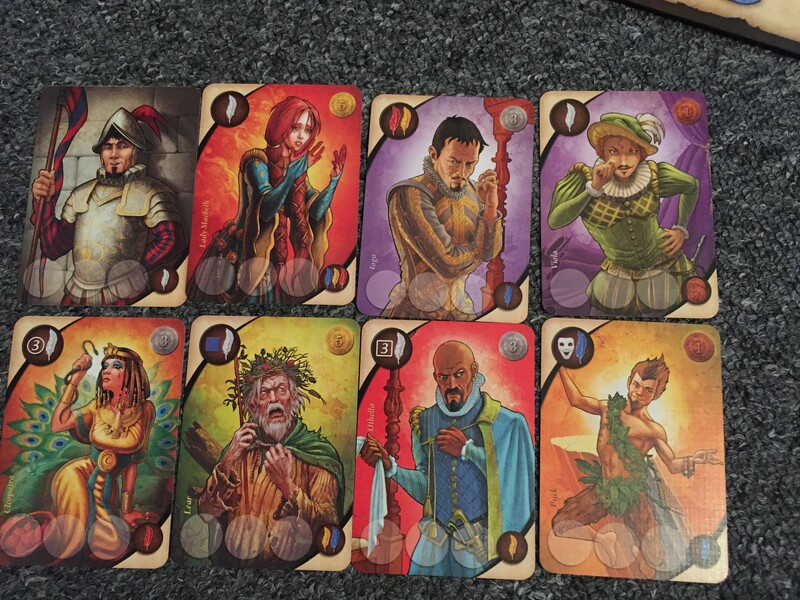 I recently got my hands on the nice little Eurogame, Shakespeare by Ystari Games. 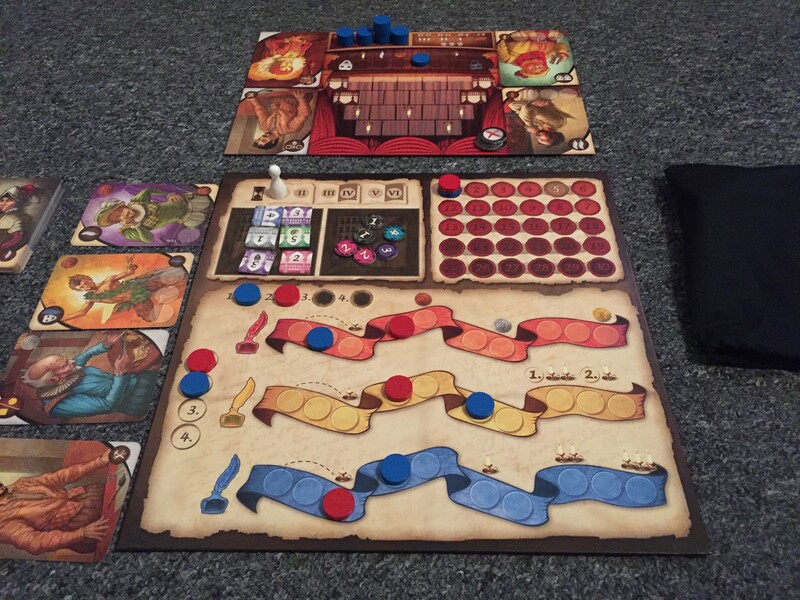 It’s a classic worker placement for one to four players, which requires some strategy, a little bit of scheming, an ounce of planning and is well worth a few hours of your time. Essentially, you’re playing as a theatre troupe manager and you need to put on a lavish play, in just a week, which will really impress Queen Elizabeth. In order to do this you need to recruit, pay and whip into action your actors and craftspeople, whilst writing a script fit for a queen. Just to make your stage life perfect, you also have to keep everyone happy or the play will suffer. You can choose to perform up to five actions per turn, but be careful of wearing your troupe out! Game play consists of each player putting in a blind bid of how many actions (one to five) they plan to make today; the lowest bid takes their turn first. You can recruit one craftsperson or actor per day and then put your choice of troupe members to work building the set, making costumes or improving acts one, two and three. You can also visit the Queen, and get some much needed money or a, potentially game winning, objective from her. Once you’ve used them you have to exhaust all but one of the characters used for the next round. At the end of each day you need to tally up points and morale, ditch any un-hired actors and trades people and reset the costumes and sets. If you really want an actor, or that fabulous gold brocade, make sure you grab it when you can or it’ll be lost. Any ties for points or bidding are broken by the ‘initiative track’ which is dependent on who puts an actor into play first each round. On day four you have a dress rehearsal which allows you to see how well you’re doing and lets you know if you need to change tack. After your final dress rehearsal on day six, it’s all over and there’s only the wages and clean-up to take care of. You don’t need to be a Shakespeare fan or a theatre buff to find this game both beautiful and enjoyable. 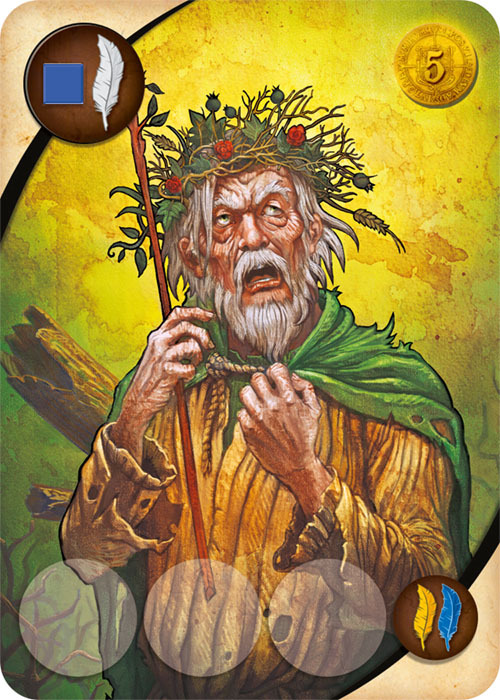 The art work is lovely; and well themed if you do know your bard (I found King Lear particularly delightful) and the game feels good to play. If you’ve played a worker placement style game before, you’ll have no problem. Some of the rules are a little fiddly for novice gamers, but if you’ve got a more experienced gamer at the table and follow the rules this shouldn’t be too much of an issue, especially once you’ve passed day one of the game. What I really liked about this game was its fast pace; as each player makes only one move at a time no matter how few or many actions they’ll be making. This keeps each player moving rather than having a lull. The different strategies that can be used to gain victory points, money and morale also keep the game interesting. Whilst I concentrated primarily on set design which chiefly gained me points and money, my opponent went for lavish costumes which improved his play and awarded him with money with which he could pay his troupe. 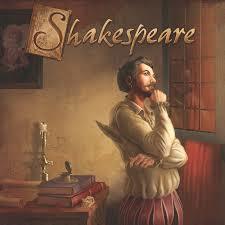 I’m very much looking forward to my next game of Shakespeare. This is a game that can be played again and again without getting dull and will make a nice little addition to any gamers’ collection. 7 star crossed lovers out of 10.